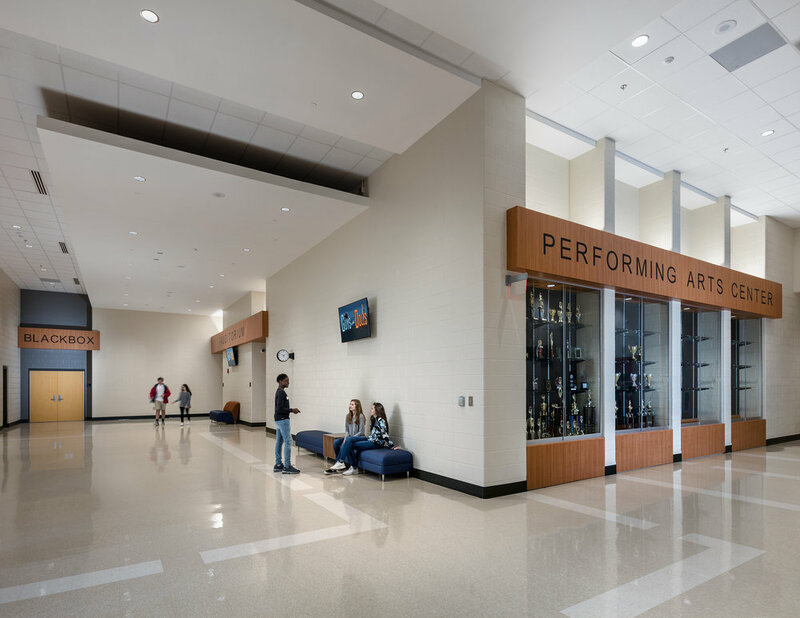 CROFT, Newcomb & Boyd, and PES Structural Engineers are providing full A/E design services for a new 750 seat performing arts center and 3,000 seat sports arena as part of the final phase of build out for North Cobb High School in Kennesaw, GA. Using the ASHRAE 189.1-2014 standard as the sustainable design benchmark, the Croft team developed a comprehensive site master plan, A/E design, and multi-step construction phasing and laydown plan that allowed the integration of these two new large venues into an existing 2,800 student campus without disruption of classes or extracurricular functions. 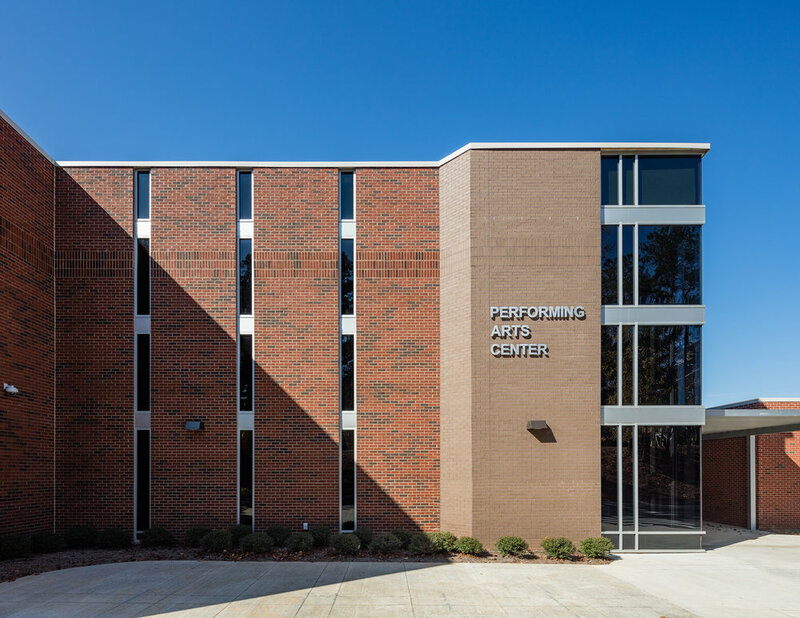 The new state-of-the-art facilities are integrated into the existing building plan on campus while tying in seamlessly to a complex network 60 year old utility infrastructure.